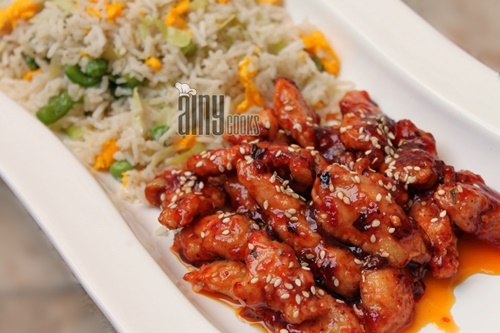 This hot and spicy dish will really tantalize your taste buds. Vibrant red color with sesame seeds on top are eye catching. My family’s TOP Hot Favorite. 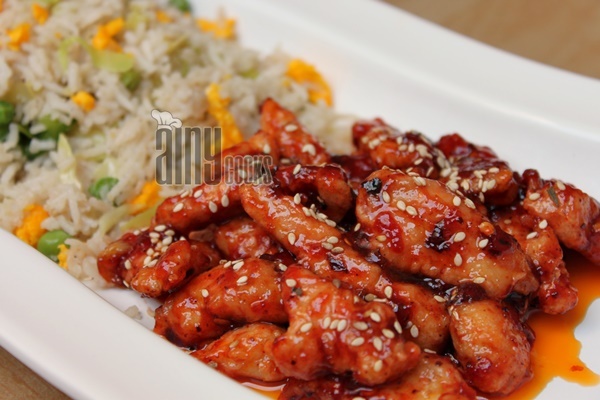 Serve this Dragon Chicken with Fried Rice. I am sure you will love it. 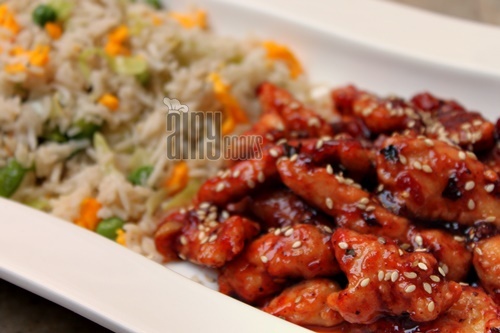 Marinate Chicken with all ingredients. Just before serving fry it in oil and add in Sauce. In a pan add chili oil and garlic now fry till golden brown in color. Add fried chicken and mix well. Before serving sprinkle sesame seeds on top. Adjust spices according to your taste buds. Now add red chili powder and red chili flakes, stir for few seconds. Remove from stove and leave it overnight. Next day strain it and store in any bottle.